Azerbaijan has good opportunities to play an active role in One Belt and One Road Initiative, Swiss Federal Council told Trend. "Azerbaijan is accelerating its efforts to develop its transport corridors to facilitate trade between east and west and north and south. Thus, your country has also good opportunities to play an active role within the new One Belt and One Road Initiative, which is of great interest for our companies," said the Federal Council. The Swiss Federal Council said that one example is Stadler Rail, a private company, which contributes to the development and modernization of the railway system of Azerbaijan and whose trains are successfully operating between Sumgait and Baku. 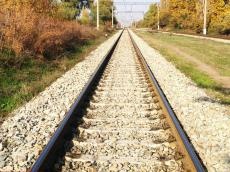 "Its rolling stock ordered by the Azerbaijani state railway company will run the Baku-Tbilisi-Kars (BTK) railroad line," said the Federal Council. Earlier, Chairman of the Azerbaijan Railways CJSC Javid Gurbanov said that it is planned to deliver 30 railcars manufactured by Stadler Rail Group to Azerbaijan. "Some 30 railcars will be delivered to Azerbaijan in the first months of 2019. The railcars are manufactured in Zurich, Switzerland. On new trains it will be possible to arrive in Kars in 10 hours, in Ankara in 20 hours," Gurbanov said.